News from Roger Kershaw Custom Travel Inc.
Let's always keep in touch! Please confirm your continued interest in receiving these newsletters. 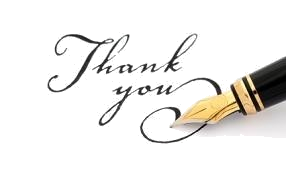 It's a been a while, a very busy while thanks to you!, since my last newsletter. In what I hope was entirely transparent to you, I have changed my affiliation from TTI Canada, a boutique agency with a great reputation and ability to work closely with their affiliate agents to help them grow their business, to Travel Edge, the single largest agency in the Virtuoso network, with the benefits that this can bring to my clients at this stage in my career. But as you've (not even) noticed: it's business as usual, same phone, same email, same dedication to your travel needs. And although it's not a move, per se, but rather an expansion, Jim and I have just bought a vacation home in Rancho Mirage (near Palm Springs) and have spent a very, very hot summer here furnishing and remodelling our "Southern California Office." If you are looking for a luxury vacation retreat, here's a link! 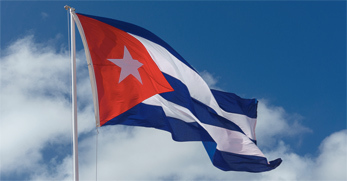 If not Rancho Mirage, how about joining us on our small and very special group cruise aboard SeaDream in March - in Cuba! It's been quite a month for Aeroplan as Air Canada thought they had a deal to buy it, then got rejected, just as Aeroplan announced it was adding Porter, Air Transat and Flair to its points-garnering system, and allowing redemption on any airline at any time (all effective in 2020). And this week, Air Canada announced the deal's still afoot, pending approval of a host of interested financial parties. It's beginning to sound more like AirMiles than a specific airline loyalty program, but that's all good for the traveller. Among the latest crop of new (or soon-to-open) boutique lodging spaces in Toronto is Canada's first Ace Hotel - an ultra hip chain synonymous with Portland, Oregon and its emphasis on "creative gumption." The new hotel is currently under construction at 49-51 Camden Street, next to Brant between Richmond and Adelaide Streets, and developer Alterra predicts it will be open sometime in 2019. Only 10 other Ace Hotels currently exist worldwide - all of them in hot creative cities such as New York, Los Angeles, London, Chicago and, of course, Portland, where the brand originated in 1999. At last, you can visit Toronto and feel like you are not. In case you missed it, you now have a new excuse to visit the ever-expanding entertainment complex that engulfs Orlando: Disney's new Toy Story Land opened this summer. Once guests arrive in Andy's backyard, they will be greeted by iconic Toy Story characters, including Woody, Jessie and Buzz Lightyear. One of the most anticipated attractions at the new land will be the Slinky Dog Dash roller coaster, which Andy assembled using his Mega Coaster Play Kit. Throughout Toy Story Land, guests will see oversized crayons, green army men, Rubik's cubes, tinker toys and other familiar toys and game pieces from the movie franchise incorporated into the landscape. Disney invites "everyone to experience the joy of being a toy." The only city that can beat Dubai at its skyscraper game is, apparently, Dubai. This spring, the Gevora Hotel opened in the city's financial district, becoming the tallest hotel in the world, a title previously held by its neighbor, the JW Marriott Marquis Hotel Dubai. The four-star hotel has the highest swimming pool in the world, of course, plus four restaurants and a coffee shop, all spread throughout its 77 stories. Guests can stay in one of 528 rooms and suites, which start at the surprisingly affordable price of about $US 150 per night. It's been a banner year for banner properties, with several hundred new 5-star hotel openings around the world. Here are a few that showcase the variety in style, geography, and appeal. Kettner's Townhouse, London, England The latest project from Soho House comes with a colorful history: Originally established in 1867 by August Kettner, who opened London's first French restaurant and fed the likes of King Edward VII and Winston Churchill, the iconic restaurant and champagne bar will reopen its doors with 33 Art Nouveau-style bedrooms and a historic Jacobean suite in Soho. The NoMad Los Angeles After the success of its New York City flagship, the second NoMad hotel is open in Downtown LA's historic 12-story Giannini building. Drawing design inspiration from Italy and contemporary California, and since the 241-room hotel is LA, there is a swank rooftop pool with sweeping city views. Amanyangyun, Shanghai, China The tranquil Aman resort, the group's most ambitious project to date, has a most interesting hotel origin stories: Over a fifteen-year period, an endangered village of historic dwellings and 1,000-year-old camphor trees was preserved and transported more than 400 miles, then painstakingly restored to create the accommodations: 26 Antique Villas along with 24 newly constructed Ming Courtyard Suites. Baglioni Resort Maldives Family-owned Baglioni Hotels is bringing their Italian style and expertise in luxury hospitality (honed at nine high-end boutique hotels in Italy, France, and England) to the Indian Ocean. Located on a private island, the new resort has 96 villas, four restaurants, a spa, kids club, and access to some of the best dive sites in the world. Line DC, Washington, D.C. After a lengthy waiting period, the first spinoff of LA's hip Koreatown hotel is finally open for business. Built inside a 110-year-old Neoclassical church in the diverse and always-buzzing Adams Morgan neighborhood, the 220-room hotel has a decidedly Washingtonian look, with lobby seating from repurposed mahogany pews, salvaged hymnal pages adapted as art, and 60-foot vaulted ceilings. The Siren Hotel, Detroit, Michigan Housed in the iconic Wurlitzer Building, the 106-room hotel is inspired by a reinterpretation of the yesteryear hotels once found in Detroit: rooms are decorated with a mix of vintage and custom furniture, retro terrazzo tiling, black marble tabletops, Italian linens, and hand-loomed blankets. The Middle House, Shanghai, China Located in the heart of Shanghai's popular Jing'an district, the newest addition to Swire Hotels' portfolio was inspired by the city's rich heritage of craftsmanship and culture - creating an oasis in one of the world's busiest cities. Under Canvas, Mount Rushmore, South Dakota Located on the outskirts of an old gold mining settlement between Badlands National Park and Black Hills National Forest, the glamping resort offers stylish safari-inspired canvas tents with connected bathrooms and showers. Six Senses Bhutan, Paro, Thimphu, Punakha, Gangtey, and Bumthang With three lodges slated opening this summer (the other two later in the year), the tiny Himalayan nation will soon be home to not one but five of Asia's most anticipated openings. The Barcelona Edition, Spain With seven openings scheduled in 2018 in cities around the world like Bangkok and Abu Dhabi, Edition Hotel's first Spanish opening is the most anticipated, located next to the Barcelona Cathedral and Santa Caterina Market, mere steps away from your favorite beaches. The Hoxton Williamsburg, Brooklyn, New York Set on the site of the former Rosenwach factory, the British brand's first North American hotel is also their largest: 175 rooms, three restaurants, a rooftop bar, and several indoor-outdoor event spaces. Also scheduled to open in 2018: The Hoxton Downtown Los Angeles and The Hoxton Portland. 21c Kansas City, Missouri Downtown Kansas City's historic Savoy Hotel and Grill has a brand new look come summer. The award-winning museum-hotel hybrid has a contemporary art museum, exhibition space, and a restaurant and bar. Rosewood Miramar Beach Montecito Built on the site of the defunct Miramar By the Sea Hotel, the new five-star resort will be the only one in Southern California that can claim a private beach. Bishop's Lodge, Santa Fe, New Mexico Situated on 317-acres of wild land at the foothills of the Sangre de Cristo Mountains, the iconic 1920s ranch resort has undergone a $75 million renovation by Auberge Resorts Collection. Omaanda Namibia Inspired by the Ovambo tribe, the 10-room Omaanda and its restaurant and spa will sit within in a spectacular wildlife reserve in Windhoek. Sonop Namibia, a tented camp in the desert, will open in the fall. One&Only Nyungwe House, Rwanda A major upgrade, courtesy of One&Only, is coming to Gisakura, an existing hotel and working tea plantation on the edge of the Nyungwe National Park. Also new to the portfolio this year are One&Only Gorilla's Nest, opening in Rwanda in late 2018. Raffles Singapore The island nation's grand dame will reopen this fall after a careful and sensitive restoration. Updates will include a new category of suites, refreshed restaurants, and updated technology. Guests can expect that the historic hotel will maintain its original colonial ambiance. AndBeyond Tengile River Lodge Nine floating suites, a spa, and a gym are made of environmentally-friendly materials in a tranquil new safari lodge sharing unfenced borders with the game-rich Kruger National Park. Expected in December. SeaDream Cruises announced their new itinerary in Cuba for 2019 just as Hurricane Irma wiped out their Miami offices and the flood of calls were diverted to Oslo. We were among them, blocking a group on a March 4 to 11, 2019, sailing. And it is a good thing we did, as that sailing, and most of the others around it, were completely sold out within hours. Our focus at the time was on our Iberian group (September 2018) and as a result, we still have three of the ten staterooms held for Cuba, available for you to join us. Delivering a truly unique itinerary exploring the exotic destination by mega-yacht, we will depart directly from Cienfuegos and circumnavigate the western side of the island to Havana for an overnight in the capital city. The 112-guest SeaDream II will provide the ideal vantage point to experience the Caribbean nation's rich, cultural landscape. If you've ever sailed on SeaDream you already know it's the pinnacle of cruises. "It's yachting, not cruising" is more than just their motto. Yet still a surprising value, from just USD 5699 per person, double occupancy, for the staterooms in our group, which are held for you at USD 1100 per person less than the last available price offered by SeaDream. If you've never been to Cuba, you know it's time! Canadians have been enjoying Cuba for years, and now Americans can join us (in "educational groups" which this sailing qualifies), to share the white sand beaches, the oak-aged rum, the historical heritage, the colourful music and art, and so much more. I'm excited to bark I've been flying now, and it was quite a thrill! I squirmed out of my "bacon house" just as they shut the cabin doors and caused a minor panic for my Dads, but they got me stuffed back inside, and I was off to Las Vegas! My next trip was to Los Angeles and although Alaska Airlines had no problem with my size (okay, I'm pushing 20 lbs nowadays), American did on the return trip and I almost had to walk. So my Dads decided that road trips are best for me after all. I think that's why they bought me the new doghouse here in Rancho Mirage CA, which has to be about the most dog-friendly city on earth. All the airlines are getting tougher on their pet policies, thanks mostly I think to United's unfortunate reputation. You tiny fellers can still fly in the main cabin but anyone the size of a real dog, like me, they want us to go into cargo. Which wouldn't be so bad, if they would let my Dads fly with me there, but alone? Sounds pretty ruff. Good news: Air Canada has just become the first to achieve a new global certification for the safe transport of live animals! If you can beg your way there, there are some interesting new developments apaw in the States. Boris & Horton opened a restaurant in NYC with a Plexiglas divider that means humans can order and carry food into the Dog Area; the waiters just aren't allowed to serve it there. The logic escapes me, but here's a link. And the US National Parks System is expanding its B.A.R.K. Ranger program to more and more trees to sniff and geysers to explore. You even get a collar tag when you enrol! As always, it's essential to check the airline rules before planning a trip with your furry family. The rules for "emotional support animals" are changing. The DOT is reviewing their definitions of ESAs as well. No more peacocks under the seat next to me! 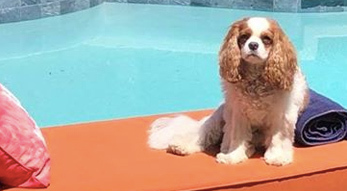 While some airlines welcome pets, some make it very difficult or have seasonal black outs, and others, like Emirates, Flyby and EasyJet won't allow any animals aboard. Except humans. I guess they are animals, too. As another traveller aid to make getting troublesome visas easier, CIBT has introduced Digital Photo Service. Consulates have very strict rules when it comes to photo specifications and requirements and will deny a visa application if their guidelines are not met. Specific requirements can range from head angle, expression, background, lighting, accessories, and size and can vary based on destination and jurisdiction. With CIBT's Digital Photo Service, you just upload your photo to CIBT's website and they take care of the rest to ensure your photo meets government and consular requirements. Where there's smoke ... don't tell! It may be legal in Canada. It may be legal in the border state you are entering. But it is NOT legal in the eyes and lawbook of the US border official. 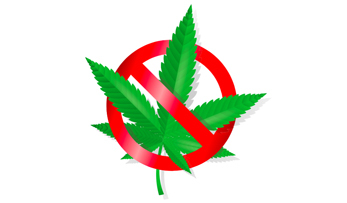 If you have ever used, or have any investment in, even medicinal marijuana, beware how that information may affect your ability to ever visit the States. The highest compliment my clients can give is the referral of their friends, family and business associates.